This sweetness is sure to satisfy your sweet tooth…in a healthy way. That is always a bonus don’t you think? 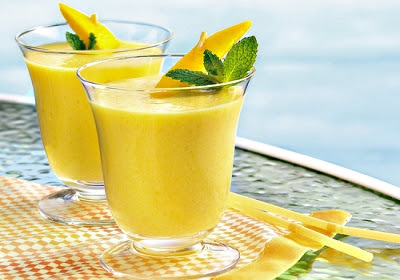 ~ Blend the orange juice, yogurt and banana till well mixed. Next add the ice cubes and mango and continue blending till mango is mixed in. Enjoy.